Derby's Bradley Johnson appeared to bite Joe Allen. 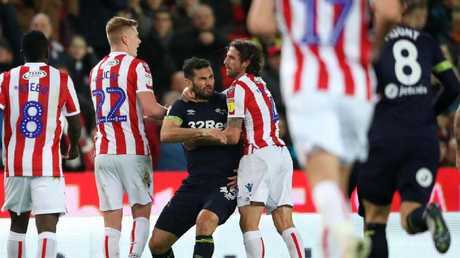 Did Derby's Bradley Johnson bite Stoke's Joe Allen during their Sky Bet Championship clash on Thursday morning (AEST)? 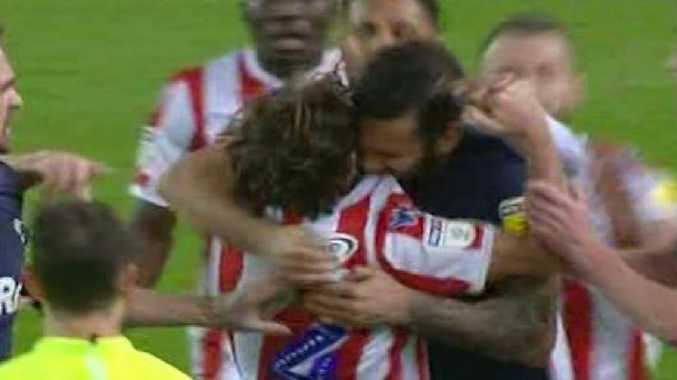 The duo came together during a melee after Stoke's Peter Etebo was sent off in the 33rd minute of the clash at the bet365 Stadium. Sky Sports expert Liam Rosenior reviewed the pictures at halftime and feels action may be taken against the Derby player.